A Canadian ESL/EFL blog for Intermediate, Advanced. IELTS, TOEFL and TOEIC students who want to improve their English. The blog contains thousands of lessons, tutorials and practice exercises in Listening, speaking, Grammar, Reading, Writing, Editing, Pronunciation and even Music. This is a Canadian ESL blog for Intermediate and Advanced Students who want to learn and improve their English. Each PAGE above contains thousands of free English lessons, tutorials and practice exercises to help you learn and improve your English grammar, reading, listening, pronunciation, speaking, writing and editing. Some of the resources are Canadian. Others are from around the world. The resources on this Canadian blog are all free, and I spend a lot of my time working on it, so please consider becoming a SUPPORTER. I appreciate all the support I get. It is the fuel that keeps me going. NOTE: To leave a comment, click on the word "comment" at the bottom of the page. A comment page will pop up. 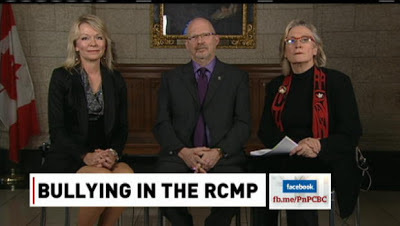 Just as Canada was getting ready to celebrate anti-bullying day, the head of an RCMP investigation committee issued a report saying the federal police force has a serious bullying problem. The RCMP stands for the Royal Canadian Mounted Police, who are often called "mounties." These are the people wearing red coats and hats that you see riding horses in parades and whom you often see on postcards from Canada. But their role is much bigger than simply riding in parades. 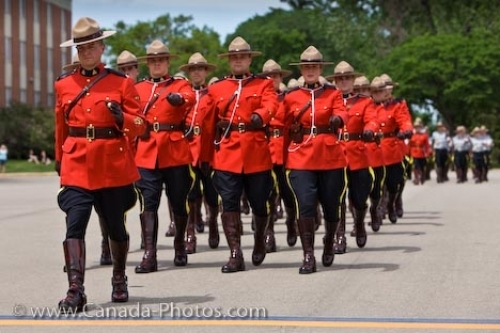 The RCMP is Canada's federal police force and has 19,000 members. 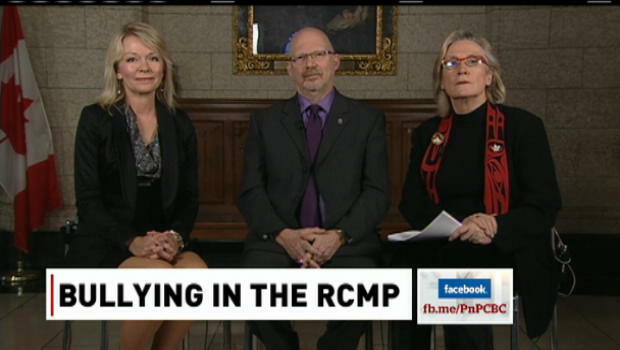 Currently, 20 per cent of those members are women, and this year a number of them have accused the RCMP of wide scale sexual harassment. Listen to the story as many times as you need to. Then, answer the questions. If you do not have a web site, or a Google account, click on Name/URL and simply leave your name. You do NOT need to be a member to leave a comment. Speak English "For Just a Minute"
Explaining the difference between the "ings"
Participial Adjectives - "frustrated or "frustrating"
Practice articles, prepositions, much,many comparatives etc. Reading Practice: speed, skim, scan, comprehension etc.